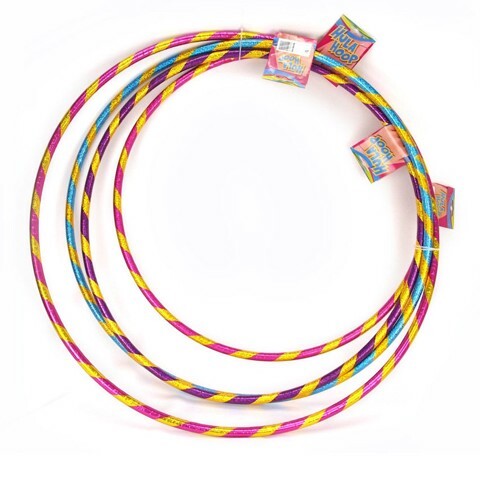 Hula Hoop 4 Sizes Asst Colours. 66cm l 72cm l 76cm l 82cm. Hoops are Covered in Colourful Tape: Blue and Gold l Pink and Gold l Purple and Gold. PP l Plastic Beads. 0 Packaging: Hang Card.